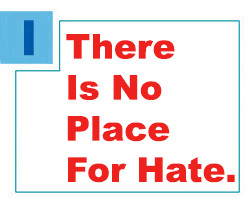 The Greater Miami Jewish Federation wants you to know about our response to increased anti-Semitism and our ongoing efforts to secure our Jewish community. Click here to read a letter from Federation Board Chair Amy Dean and President and CEO Jacob Solomon and click here to view an ad that will run in this Sunday’s The Miami Herald. 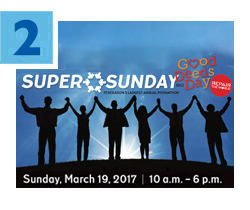 Bring the whole family to Super Sunday — Federation’s largest annual phonathan — and Good Deeds Day on March 19. Along with raising money for the Annual Federation/UJA Campaign, the fun-filled day offers an array of activities from DIY mason jar meals for the elderly to Israeli dancing, PJ Library programming and more. For more information and to register, click here. Every day, thanks to your generous donation, the Greater Miami Jewish Federation is caring for Jews around the world. Watch this video and let General Campaign Chair Jeffrey Scheck give you a bird’s eye view of some of what Federation accomplishes in a single day. 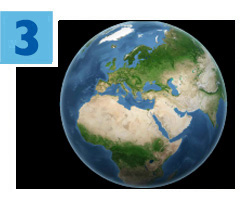 To help fund the global lifeline of services you just heard about, click here to donate to the Annual Federation/UJA Campaign. 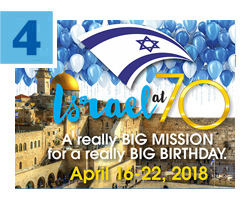 Just two weeks after launching Federation’s Israel at 70 Mission, 70 people have already made their deposits, and you can, too! You’ll also want to reserve a spot on the Pre-Mission to Poland, April 10-15, 2018. Chaired by Sidney Pertnoy and Vice Chairs Elise and Gil Bonwitt, the Poland journey includes visits to the remains of the Jewish ghettos, the concentration camps of Auschwitz-Birkenau and Majdanek and other historic sites. Travelers will participate in the March of the Living on Yom HaShoah (Holocaust Remembrance Day). Click here for more information and to register. 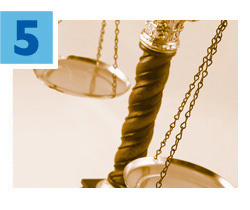 Federation’s Attorneys’ Division will host the annual Judicial Reception on Thursday, March 9 at 5:30 p.m. at Jungle Island. The networking event, chaired by Robert C. Gilbert and Michael D. Joblove, will recognize two outstanding members of the legal community. Marcia K. Cypen, Esq. will receive the Community Service Award and the Honorable Stanley Marcus will receive the Honorable Theodore “Ted” Klein Lifetime Achievement Award. To RSVP, click here, or contact Emily R. Stone, Esq. at estone@gmjf.org or 786.866.8414.